Functionining with 4 shear-beam 350Ohm nickel-plated steel load cells, approved according to OIML R60 C3 standards (3000 divisions), IP67 protection degree. Monobloc structure with oven-fire painted steel tubular, adjustable resting feet, and level. Fixed sheet steel chequered load surface. Shielded 3m connection cable for connection to the indicator. FLATF-1 Frame for flush floor installation, for FLA / WEFLA scales. 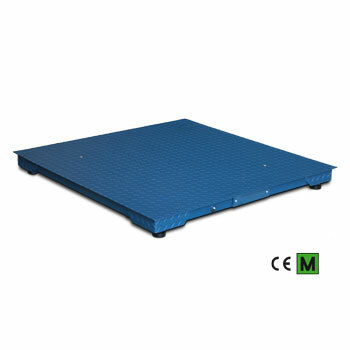 FLMTF-1 Frame for flush floor installation, for FLM / WEFLM scales. FLBTF-1 Frame for flush floor installation, for FLB / WEFLB scales. FLDTF-1 Frame for flush floor installation, for FLD / WEFLD scales. FLETF-1 Frame for flush floor installation, for FLE / WEFLE scales. FLKB Ball joints kit in nickel-plated steel for pit frame FLxTF. This accessory can be used in substitution of the standard plates. It allows the platform to swing and to settle, improving the weighing performance.